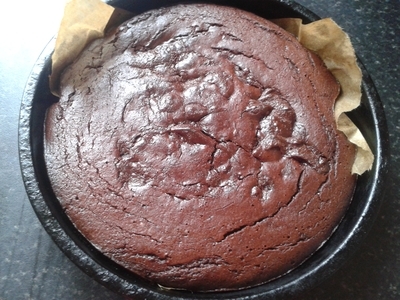 In a bid to satisfy my chocolate fix, and keep my niece off the ceiling, I created gluten and flour-free beetroot and chocolate cake. Naturally low in sugar, high in fibre, and relatively fat free. 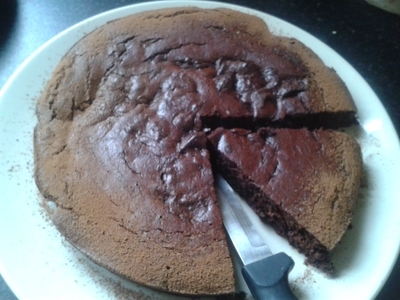 This cake has a surprisingly mild beetroot flavour, but it is mostly chocolatey. 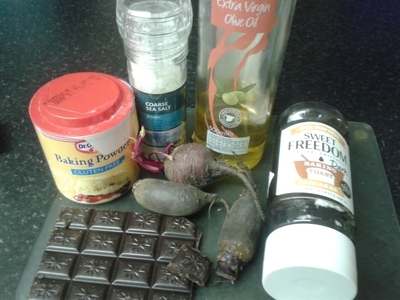 Using beetroot in this recipe gives a certain depth and earthiness that would otherwise be lacking in a plain nut flour chocolate cake. Preheat the oven to 180 degrees. Grease and line a cake tin. 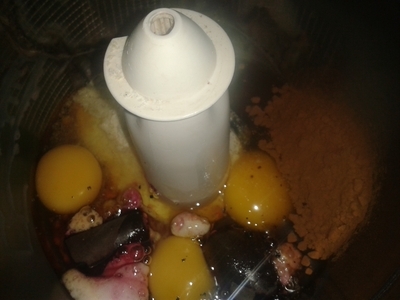 Beat the honey, eggs, vanilla, beetroot (whole), cocoa powder, baking powder, and salt in a food processor. 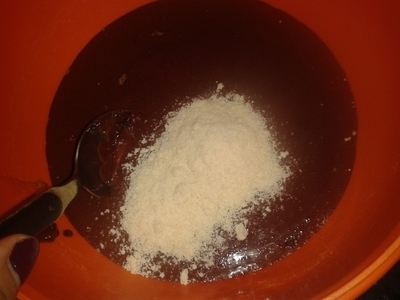 Pour the mixture into a large mixing bowl. Fold in the almonds using a spatula/spoon. 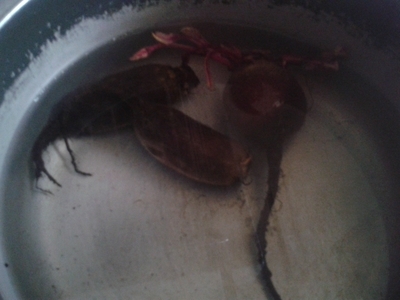 Place a heatproof bowl over the top of a saucepan containing a little bit of water. 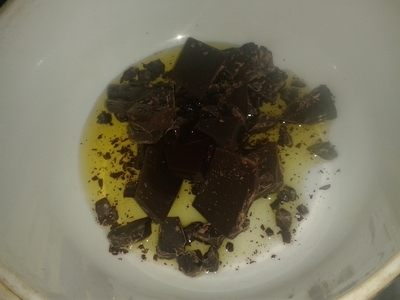 Put the chocolate in the bowl and allow to melt over a low heat, then mix in the oil. 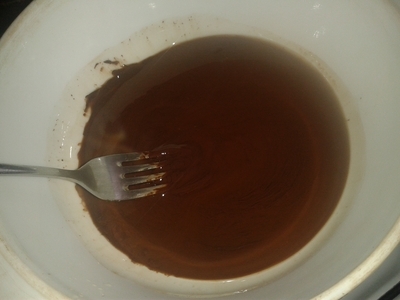 Gently stir the chocolate and oil until smooth. 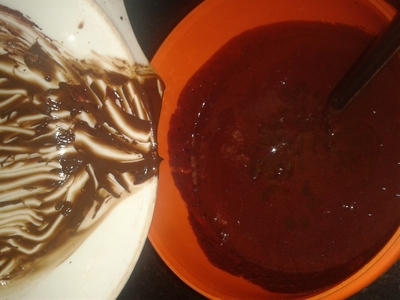 Add the melted chocolate into the cake mixture until well combined. Scrape the mixture into the prepared tin and baked for 35-40 minutes. Remove from the oven and cool for at least 30 minutes. 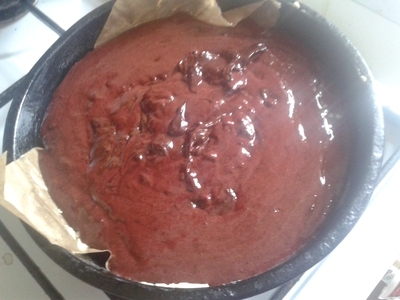 Allow to cool completely then dust the edge with cocoa powder. Feel free to serve with cream, but if you want to keep the dairy content low, enjoy without - I prefer it like that. 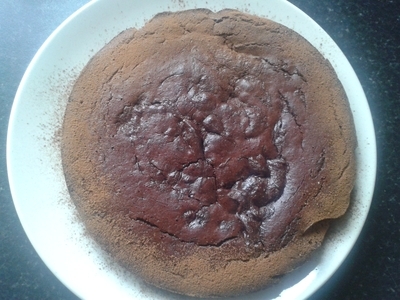 This is perfect if you suffer with coeliac disease, but don't want to miss out on favourites like chocolate cake. 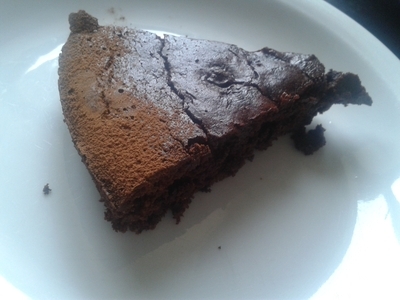 I bought slices of this round to a friends house who has coeliac disease, as does her 4 year old daughter unfortunately. They both loved it, and thankfully enjoyed the cake without any reaction. Here's to cake.